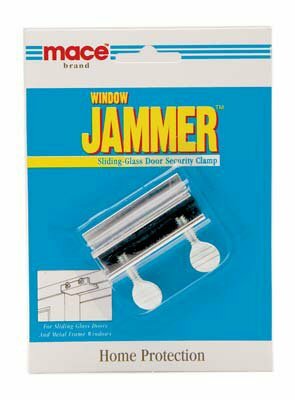 Let the cool air in, and keep the bad guys out with the Window Jammer. Clamps onto any metal window or sliding door track to keep anyone from opening the window wide enough to gain entrance. A very economical and easy to use device that can also be used to protect small children from opening windows past the point you choose. 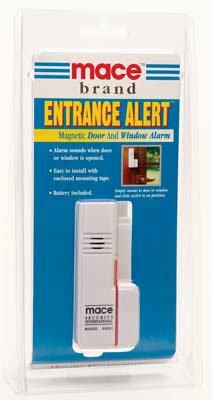 The ENTRANCE ALERT is a 95dB magnetic alarm designed to detect unwanted entry. It can be attached to window or door and the alarm sounds when contact is broken, and then automatically resets after 45 seconds. Includes an on/off switch that allows use only when necessary. Battery included. Great news for true outdoor enthusiasts! Now you can protect yourself against possible bear attacks, with safe.This powerful Magnum Fogger sprays up to 30 feet! 225 gram unit empties in approximately 5.4 seconds. 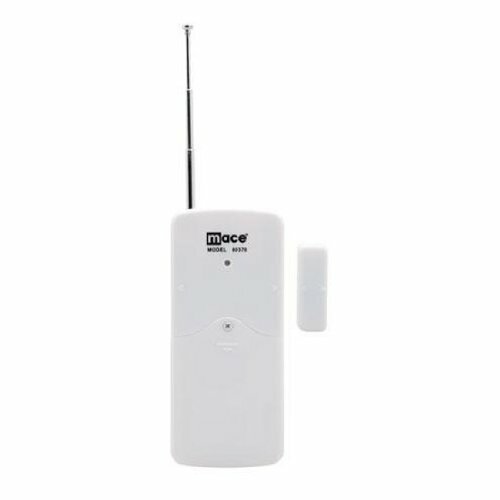 This compact all-in-one alarm is ideal for basic security of window and door openings. With built-in magnetic contacts and 110dB+ siren, it even works great for alerting of access into gun lockers, liquor cabinets, and more. 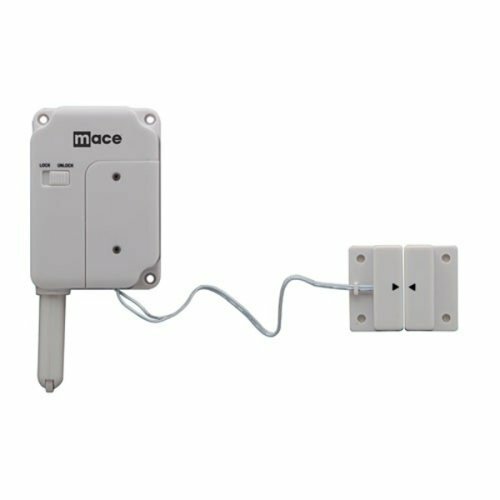 The MaceAlert SOLO all-in-one security window & door alarm is fully battery-operated and requires no wiring for quick and easy surface mount installation onto most any window or door frame, and has left- or right-side magnetic contact detection for maximum flexibility. 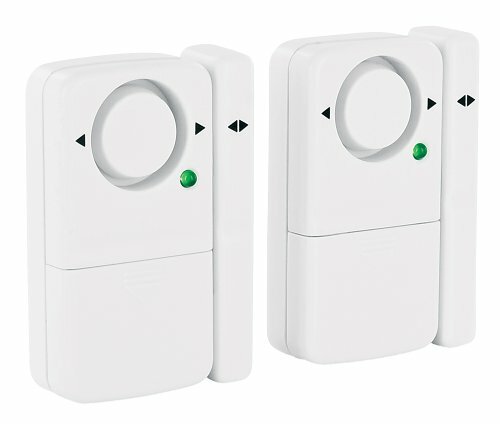 Each sensor operates independently with simple switch settings for OFF, ALARM, or CHIME mode. 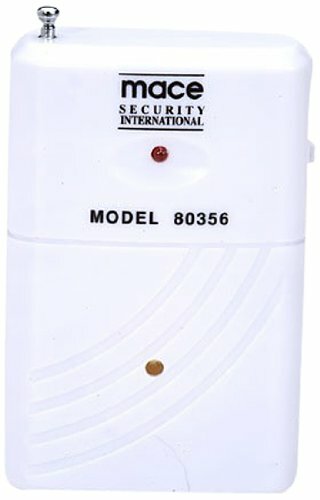 The Mace 80356 Wireless Door Window Sensor Alarm is an accesory for expanding the protection coverage of the Mace 80355 Wireless Home Security system, by providing additional monitoring for extra windows, doors, and even cabinets.This Mace Wireless Door Window Sensor has a built-in alarm feature that can also be used as an individual and standalone alarm. 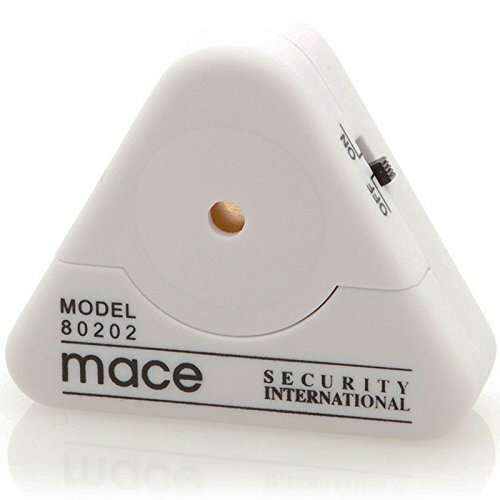 Stay safe with a Mace Wireless Home Security System... Do-It-Yourself Home Protection! SM-87B is an add-on wireless magnetic door/window sensor for SecurityMan Air-Alarm system. Wireless transmitting distance is up to 450ft (in open area). It includes a 23A 12V alkaline battery which could last up to 2 years.